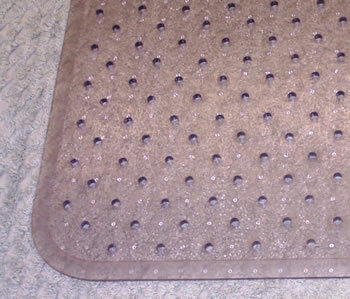 Vented Breathable Chair Mat size 36x48 w20x12 lip for carpet use. Premium Thickness .205 mils thick. Breathable Vented chairmat for carpet use. Made to protect carpet moisture problems.